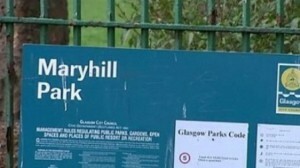 Maryhill Park Investment Plans move forward. I notice there has been some interest over what’s happening at Maryhill Park. So I was delighted to hear from Glasgow Life today that two of the tennis courts should be open by the end of next week. This sees further progress following the public consultation which established the investment plans for the park and follows the preliminary meeting of the Friends of Maryhill Park by residents in this area of the ward. Glasgow Life, in partnership with local clubs and other agencies are looking at future plans for investment in the area, including the running track and tennis courts at Maryhill Park. The city has invested £17 million in sports facilities in six locations which are within walking distance of the site, including a new £8.3 million, state-of-the-art leisure centre at Maryhill and numerous indoor and outdoor pitches. Maryhill has seen the construction of the city’s most recent major leisure Centre at Gairbraid Avenue in the heart of Maryhill. This significant facility sits alongside the redeveloped Burgh Halls as part of a massive regeneration project. The Leisure Centre includes a swimming pool, fitness suite, health suite, dance studios, sports halls etc and was opened in 2010 at a cost of £8.3m. In this short space of time it has attracted over 400,000 attendances. New sports pitches and community leisure facility at John Paul Academy. These opened in 2008 at a cost of £2 million and have attracted 140,000 local people since it opened. Refurbished sports pitches adjacent to Maryhill Park. These opened in 2008 at a cost of £250,000. There are numerous opportunities for young people to get active in the Maryhill area. Glasgow Life supports numerous sports clubs and activities for young people in the local area, including, bowling, football, judo, martial arts and netball – all of which include new expansion within junior ranks. The Maryhill Junior Boys Club and the Sapphire Gymnastics Club have been credited as outstanding examples of engagement with young people. Glasgow Life also supports the Maryhill Harriers, with the junior club attracting a regular attendance of 28 young athletes to the club. Maryhill Activity Directory provides a comprehensive listing of activities and events in the Maryhill area. The directory includes activities mainly from the communities of Acre, Cadder, Firhill, Gilshochill, Hamiltonhill, Kelvindale, part of Lambhill, Maryhill, North Kelvinside, Ruchill, Summerston, Westercommon, Woodside, Wyndford & beyond.